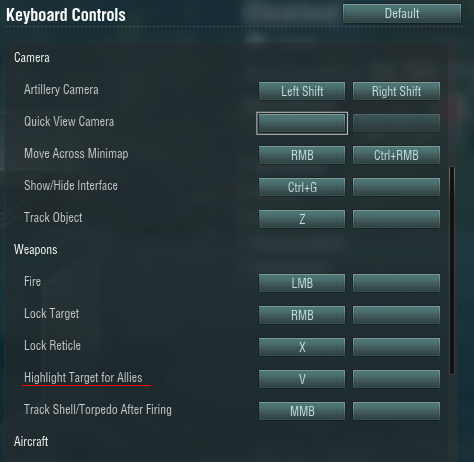 Key binding for "concentrate fire on enemy warships"
Where I can set the key binding for "concentrate fire on enemy warships"? I searched for the setting, but could not find. It should be "Notify Allies of target" or something like that. Thank you so much. I did not know that I can scroll down the "keyboard control" part. That's why I could not find it. Now I can better coordinate with allies!